Perennial; caespitose. Culms 45-240 cm long. Culm-internodes distally glabrous, or pubescent, or pilose; with tubercle-based hairs. Culm-nodes glabrous, or bearded. Lateral branches lacking. Leaves cauline. Leaf-sheaths pubescent, or pilose; with tubercle-based hairs. Ligule a ciliate membrane; 1.1-4.9 mm long. Leaf-blades 10-40 cm long; 8-25 mm wide. Leaf-blade surface glabrous to pilose; sparsely hairy, or moderately hairy, or densely hairy. Inflorescence a panicle. 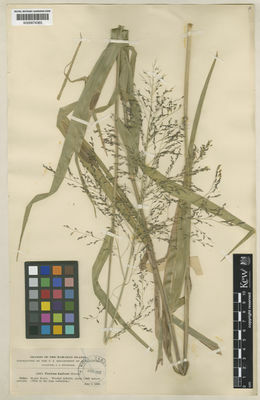 Panicle open; elliptic, or ovate; 15-60 cm long. Primary panicle branches ascending, or spreading; whorled at lower nodes. Panicle branches scabrous; pubescent in axils. Spikelets solitary. Fertile spikelets pedicelled. Spikelets comprising 1 basal sterile florets; 1 fertile florets; without rhachilla extension. 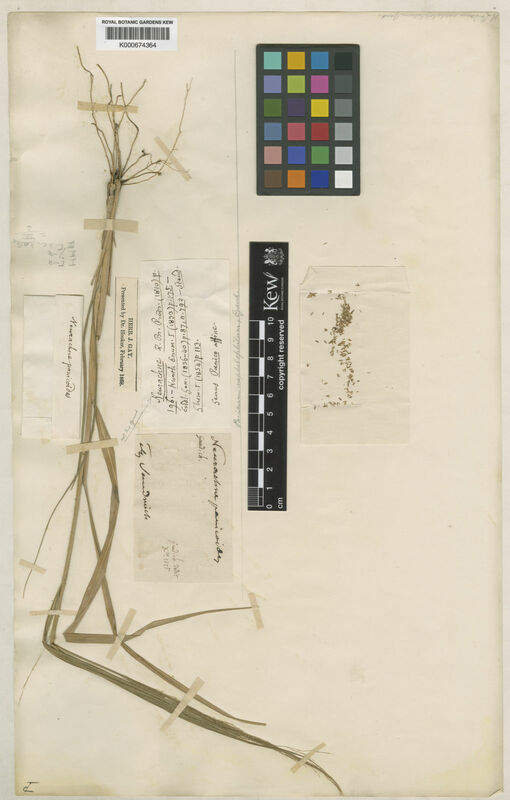 Spikelets lanceolate; dorsally compressed; acuminate; 1.8-3.4 mm long; falling entire. Basal sterile florets barren; with palea. Lemma of lower sterile floret similar to upper glume; elliptic; 1 length of spikelet; membranous; 7-9 -veined; acute. 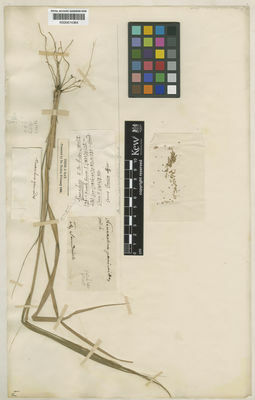 Palea of lower sterile floret 0.33-0.5 length of lemma. Fertile lemma lanceolate, or elliptic; dorsally compressed; 1.5-2 mm long; indurate; shiny; without keel. Lemma margins involute. Lemma apex acute. Palea involute; indurate. Anthers 3; 0.9-1.5 mm long; purple.